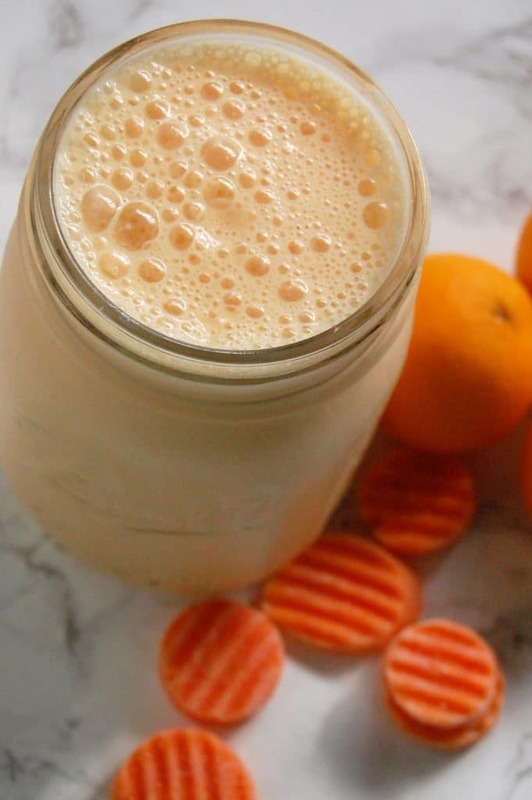 This smoothie is creamy, sweet, delicious and packs in a little protein and a hidden vegetable your kids will never suspect! Happy Labor Day! While I know today is not technically the official end of summer, it seems like it’s the unofficial assumed farewell bash to the summer season. So while I admittedly have already been indulging in warm oatmeal breakfasts and pumpkin everything, let’s take today to savor the flavors and fun of summer one last time! This smoothie is one that has been on my mind for a long time. The flavors of a creamsicle, a kid summertime favorite, are so easily replicated here, making it super kid-friendly. First of all, what kid doesn’t love the little cuties? I work with families and kids all day, every day and one of the favorite fruits I hear about are these beloved little clementines. I also hear daily concerns about picky eating, particularly with vegetables. While I totally encourage my parents to offer vegetables regularly throughout the day to increase exposure, I also get that sometimes moms and dads just want that peace of mind of knowing they sneaked a vegetable into their kids diet without the little ones knowing. 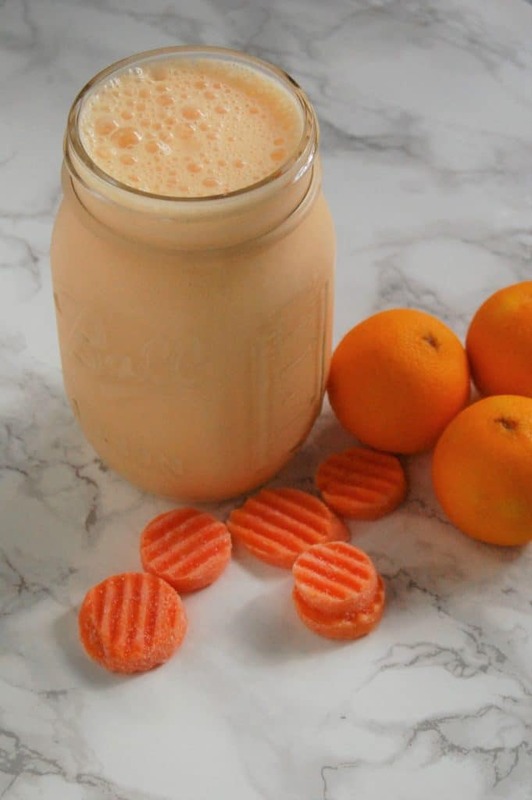 This smoothie is so beyond perfect for that. It has a serving of carrots, which are an inherently sweeter vegetable. 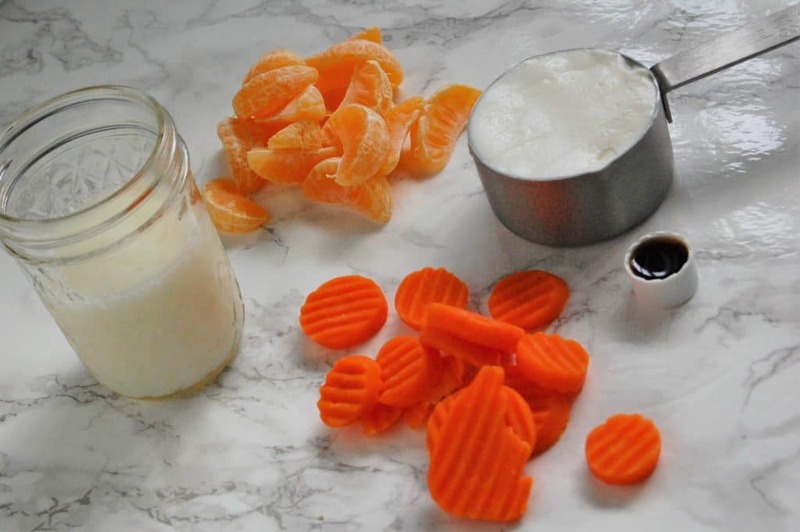 Since you’re steaming and then cooling them, they’re softer and blend easier than raw carrots. Using a lowfat or fat free vanilla Greek yogurt adds an extra little punch of sweetness, creaminess and protein. 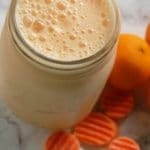 I added a little skim milk to my smoothie to have a thinner, smoother consistency and add an extra few grams of protein. If you prefer your smoothies thicker, you can always omit the milk! I hope you and your families enjoy this smoothie as much as we did! Have a healthy, fun last few days of summer!